Normally, Cycling tour is an interesting activities on a package tour but it will be more and more interesting to do a cycling on the mountain area as it’s takes you through beautiful countryside and intriguing villages, small path and slope road make you up and down in each minutes. Moreover, You will have the opportunity to observe the local minority communities at work, tending their fields in the shadow of the Chay river massif. 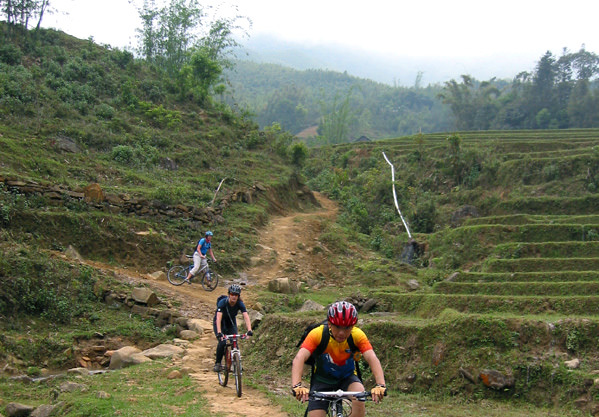 Pick up and transfer for breakfast, you will start out from Lao Cai by cycling on good flat road leading towards Bac Ngam. You pass by peaceful countryside of the Red River valley. Villages and rice fields are all along the way. You arrive in Bac Ngam by noon, where you stop for a picnic lunch. 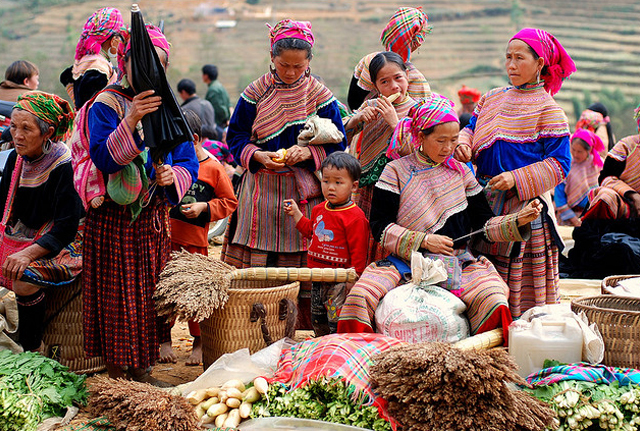 In the afternoon, you will have a long and sometimes steep ascent to the final destination of today, Bac Ha. 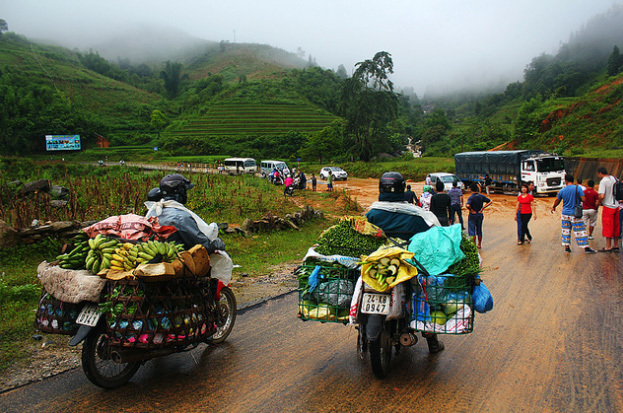 Should you feel tired from riding the bike, your jeep will pick you up and give you a lift to Bac Ha. 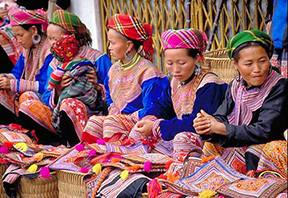 You will check in a homestay of Tay people, where you will stay for the next two nights. A cold drink, a shower and a tasteful dinner will complete this day, and make it one to remember. Overnight at homestay in Bac Ha. 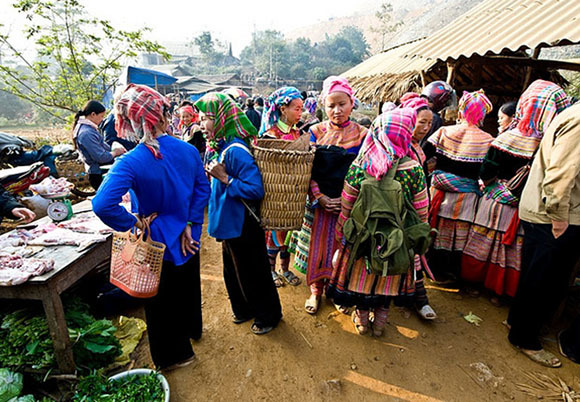 Today is time for a special market experience: the Can Cau market. The road between Bac Ha and Can Cau is hilly but extremely beautiful. The ride will take you around 1 and half hours. 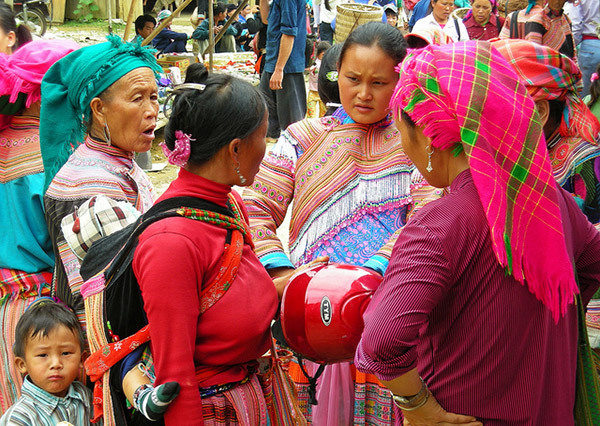 The products on the market are interesting, as well as the groups of ethnic minority people represented make the market an unforgettable experience. You will spend all the morning to walk around the market exploring its magnificent chaos. You will have picnic lunch on the way. After having a morning coffee, you take a short walk to visit the old castle of the former Hmong King. From there you can have a view over the town. 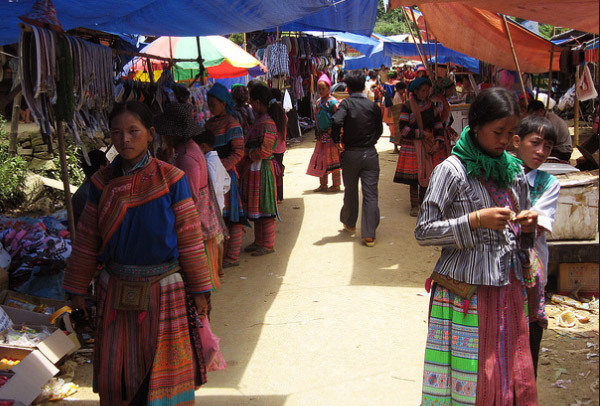 You will then visit this huge market with its colorful array of ethnic minority people such as Flower Hmong, Phu La, Black Dao, Tay, and Nung who gather to buy and sell. After spending the whole morning exploring the market, your lunch will be served in a local restaurant. You will then start out from Bac Ha by cycling downhill to Bao Nhai, where we get on a boat to have a cruise on the Chay river. It is a perfect way to finish your trip by sitting in the boat exploring the life at the riverbank. 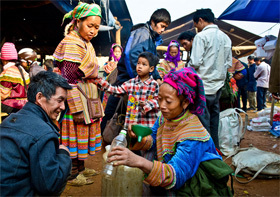 Your jeep will wait for you in Coc Ly and take to Lao Cai Railways Station to reach the train back to Hanoi. 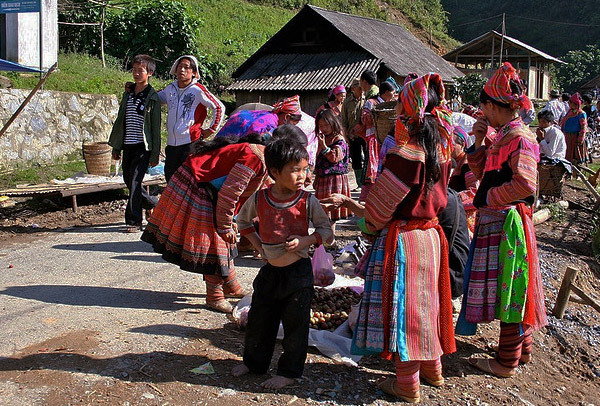 Another possibility is to return to Sapa for more adventures holiday experiences in the mountains of Vietnam.